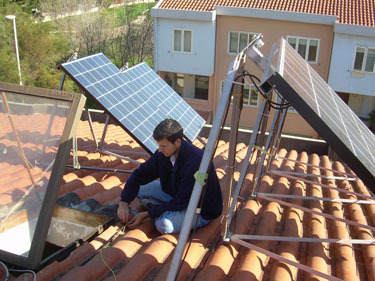 Photovoltaic panels, inverter, cables and surge arresters were purchased online from an Italian supplier, and were delivered at home on a pallet for about 100€ shipping. Over all, the weight was about 200 kg. For a detailed description of the system click here. 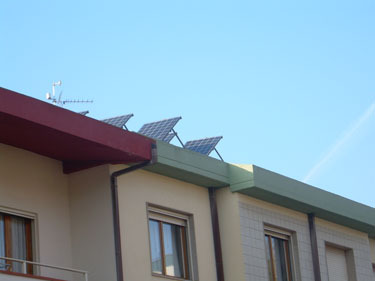 The unique feature of this PV plant is that each panel can move, pushed by a small electric motor, to follow the Sun movement. 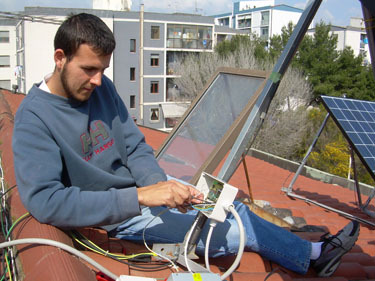 This increase the energy production about 30% on yearly basis. 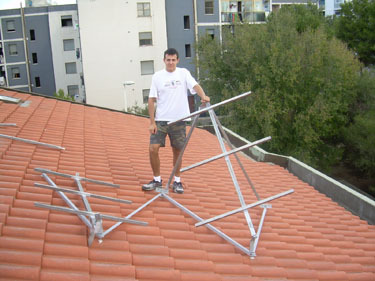 In this photo you see a wooden frame (with the same slope of the roof) to test the movements of the metal structure we came up with. 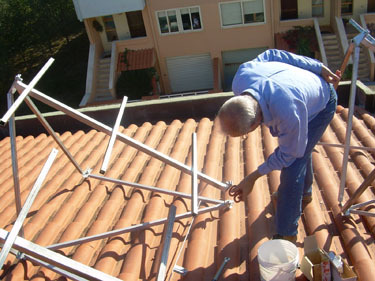 Some changes were necessary to the design of the metal part, but at the end here they are all the metal parts ready to be mounted on the roof. 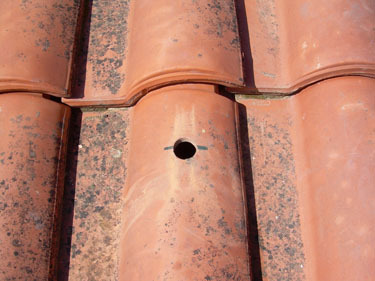 With a drilling machine with diamond core drill we drilled the holes on the roof where the 16 mm diameter threaded rods were then glued with two-component resin. The space between the threaded bar and the hole on the tile has been sealed with silicone. 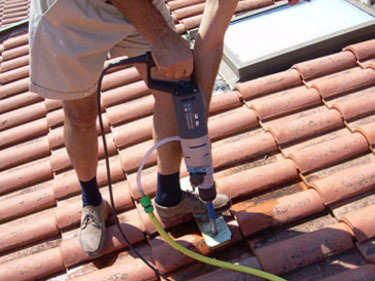 Being a solar tracker on a sloped tiles roof a very uncommon application, we had to use this non conventional anchoring solution. 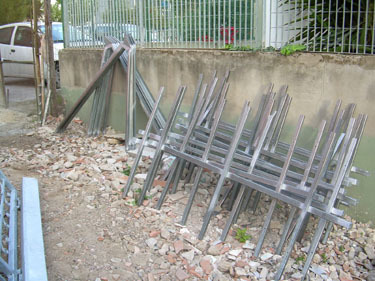 All bolts are galvanized and equipped with double nut or spring washer, in order to avoid that they come loose. 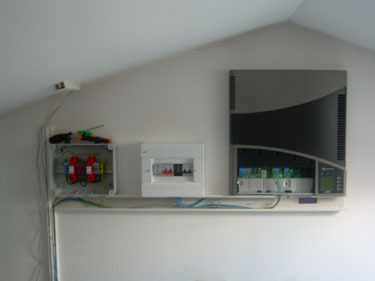 In the attic space is the inverter and small panels with surge arresters and DC and AC side disconnectors. 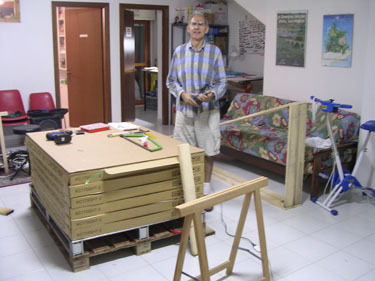 The work continues with the series connection of the panels. It was necessary to construct the extensions with the multicontact connector, which is a little inconvenient to install without the special inserter, which I thought well to build. 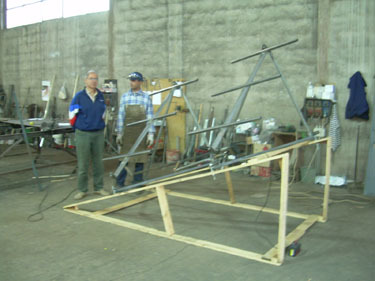 I continue with the installation of the solar tracker unit built by me. The panels can be seen very little from the road side. 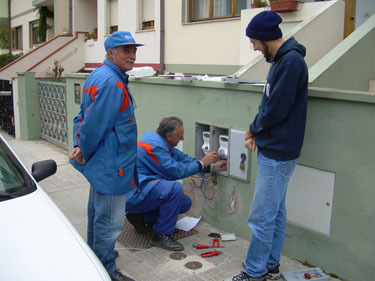 Two months after the grid connection request, the network operator ENEL installs bidirectional meters and connects us to the network (February 2006). 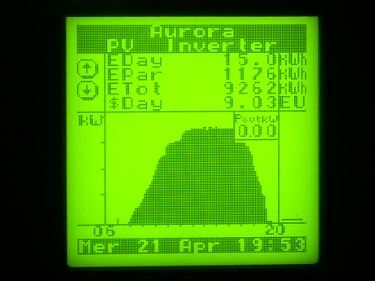 The graph reported by the inverter clearly shows the benefits of solar tracking, with the power rising rapidly to the maximum value and maintaining it for several hours. 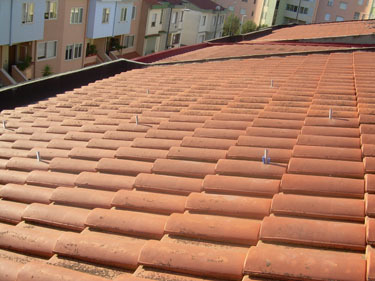 We are satisfied with the results of the energy produced and the uniqueness of our installation (I think it is the only system in the world to use a tracking system on a sloping roof). The wind and the Sun are our inexhaustible deposits of “oil”, are we help Italy not to stay behind again this time.